Atopic dermatitis is a common skin condition of the children which is characterised by heightened sensitivity and reactivity of the skin. There are intense itching and eruptions on the skin which may lead to skin thickening and fibrosis in the long run. Patients with Atopic dermatitis often suffer from Urticaria and Asthma. 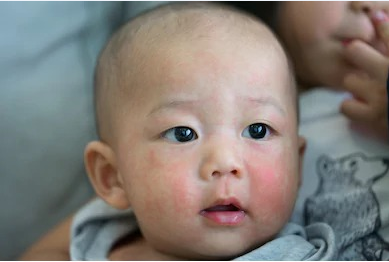 There are no known causes of Atopic Dermatitis, except that it occurs due to malfunctioning of the immune system and is influenced by genetic inheritance. It starts as early as the first year of life and is extremely distressing. The condition may resolve in some but in many cases it increases and persists into the adulthood. 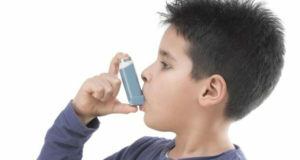 When associated with asthma and urticaria, it is usually extensive and severe. There are eruptions mainly on the face, scalp and limbs with severe itching and dryness of the skin. A patient with atopic dermatitis is prone to repeated infections of the skin which could be bacterial, viral or fungal. Usually there are multiple allergies requiring extreme care and restrictions. It is susceptible to flare ups due to even slight changes in the environment, or patients physical or mental conditions. Stress and emotions are known to aggravate the condition. Atopic dermatitis is difficult to treat and requires multi-prong approach in modern medicine. Medications used topically and systemically have significant side effects with relapses after the treatment is discontinued. Homoeopathy individualises and treats patients based on detailed case taking and analysis. Patient’s past and family history are studied to understand the hereditary factors and disease tendencies which helps to cure at deeper level. Homoeopathic medicines chosen carefully thus help the patient to self heal, especially when no known cause is found to give rise to the disease condition. Homoeopathy has no side effects or adverse reactions. 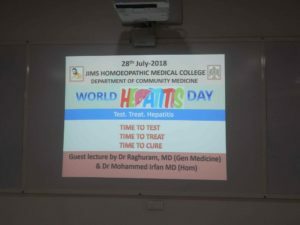 Homoeopathic treatment is not local, symptomatic or temporary. In experience of many patients and doctors, Homoeopathy cures atopic dermatitis in the most gentle and permanent manner.